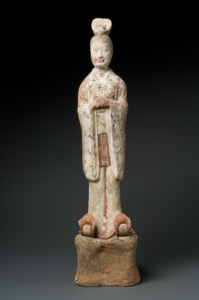 Greenwich, CT - On Saturday, February 9, a new exhibition opens at the Bruce Museum in Greenwich, CT, that showcases the extraordinary collection of Chinese tomb sculpture in the Fred and Jane Brooks Collection of the Bruce Museum. 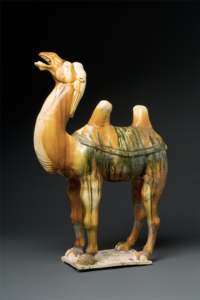 Featuring dozens of rare and delicate terra cotta figurines, painted and glazed ceramics, and other antiquities, Buried Treasures of the Silk Road will be on view in the Museum’s Arcade Gallery through June 2, 2019. Docent-led exhibition tours take place on Tuesdays, 1:30 – 2:30 pm and Fridays, 12:30 – 1:30 pm. 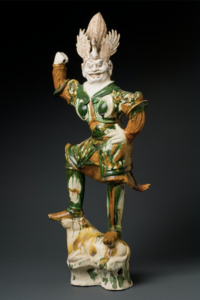 Family Gallery Tours, designed for children ages 6-10 and their families, are on Sundays, 11:30 am – 12:15 pm. Visit brucemuseum.org for details.